In many situations, the OST file shows undesirable behavior when a user tries to access data from it. There are many reasons behind this risky working of Outlook OST file like accidental deletion of OST from Exchange Server, Virus intrusion, Outlook synchronization issues. In such a situation, the user needs to delete existing OST file and then recreate Outlook OST file to fix the abnormal behavior of the OST file. This error can occur in any version of Outlook like Outlook 2016, Outlook 2013, Outlook 2010, Outlook 2007, Outlook 2000, etc. What if after opening Microsoft Outlook, you get an error message like error have been detected in the file outlook.ost. It is a tiresome situation for any user. In this blog first, we talk how can you delete OST file and recreate OST file using Microsoft Exchange Server. But later on, we will discuss what to do if getting OST file error. You can directly move to the causes and fixed for error has been detected in .ost file. Should I Delete OST file from Microsoft Outlook? 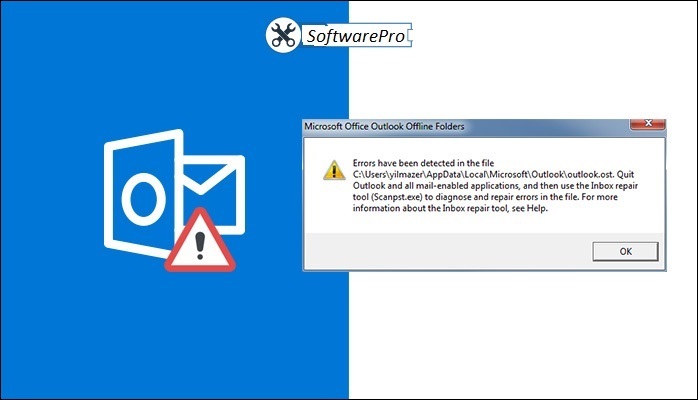 Errors Have Been Detected in The File Outlook.ost – What to Do? Outlook maintains its data file in two modes one is .pst and the second one is OST. There are various reasons that can damage OST file easily and restrict it from performing the normal working of Outlook. But the most common causes of undesirable behavior of OST are virus intrusion and synchronization issues. To fix these issues a user can either delete existing OST file or resynchronize Outlook with Exchange Server or try OST Recovery Software. Each method has its own pros and cons. 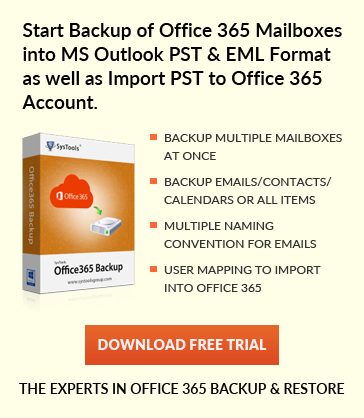 It is recommended that before deleting OST file from Outlook, take updated backup. However, as you delete the OST file, all the changes that are made offline will get lost. And, after synchronizing Outlook with Exchange server, a new OST file will be created. But there might be the chance of data loss. Thus, it is recommended to download the utility suggested above and easily fix Outlook OST file issues. Note: Remember one thing that location of OST file different in different versions of Outlook. Quit Outlook (If it is Running). Go to Run window or press Windows key + r.
Type “%LOCALAPPDATA%\Microsoft\Outlook\” in the Run window and click OK. Note: – The command will automatically locate the .ost file from any Outlook 2016/2013/2010/2007/2003/2000. Select the .ost file and either right-click on it and then hit on Delete option or press Delete Key. If you are facing any issue in opening OST file then find the best solution to repair OST file. The complete and step by steps guide to fix this issue. After successfully deleting the OST file, you need to recreate OST file for the proper functioning of Outlook. In this section, you will find the steps to create OST file in Outlook 2013, Outlook 2010, and Outlook 2007. Open Tools menu from Outlook 2007 But in Outlook 2010, 2013, 2016 hit on the File tab and then click on Info. Now click on Account Setting and double-click on Microsoft Exchange. From Setting pop-up hit on More Setting button. Click on the Advance tab and hit on Offline Folder File Setting (In Outlook 2013 hit on Offline Data File Setting). Now provide the path to save .ost file and click OK. The default name of the OST file is Outlook.ost. If you see this Error message then simply click on OK.
At the end click OK and then Finish. To create OST file in Outlook 2003 and Outlook 2000, simply follow the steps mentioned below and synchronize Outlook with Microsoft Exchange Server. Open Outlook and go to Tools menu and click on the E-mail Account. Now hit on View or Change Existing Mail Account and then click Next. Locate the Outlook Process Email for Those Account in the Following Order box and hit on Microsoft Exchange Server and after that Change. Now click on More Setting option. Select the Advance tab from the menu and click on Offline Folder File Settings. Now in File box provide the path where you want to save .ost file and then click OK.
By default name of OST file is Outlook.ost. Now an error message will be prompt as shown below. Simply click on OK.
At the end click on Next and then Finish. Note: – It is necessary that Outlook must be connected to Microsoft Exchange Server for the synchronization of offline data file so-called OST file. Error Have Been Detected in Outlook.ost – What to Do? We are aware of the advantage of the OST file. The main plus point is, you can work even without an Exchange server environment means offline. It removed the dependency and enables you to access OST from anywhere. The changes made offline will be synchronized automatically with Exchange OST once the connection established. But despite having advantages there are some errors which may restrict you to access OST file. You may get an error message errors have been detected in the file C documents and settings outlook.ost. Before going to the solution part to fix the Microsoft outlook errors have been detected in the file OST. Let’s first understand the reasons behind the occurrence of OST error. It’s very annoying for you that, on the launching of Microsoft Outlook. You are getting an error message. It will break the communication process and can lead you in serious trouble. So, be aware of reasons due to which you get errors has been detected in the file outlook. Ost message. The OST Error Can Occur in Outlook 2019, 2016, 2013, 2010, etc. Note: – These are some common reasons which trigger Outlook OST error and beaks the communication. Now, let’s move to the solution part, means how can you deal with the situation. If you are facing errors have been detected in the file Outlook.ost. Solution 1: – We know that the OST file is a replica of Exchange Mailbox. So, deleting .ost from your system and creating a new one is the best option. Above in this post, I have explained the step by step guide for how to delete OST file in Outlook (All versions). Also, the complete guide on how can you recreate OST file using Exchange Server. Limitation: – If you wish to delete your existing OST file. Then keep one thing in mind that the changes made offline will not be reflected on the Exchange.ost file. So, after creating new.ost file you will lose all data which you saved offline. Step 5: – Now use the PST in Microsoft Outlook 2019, 2016, 2013, 2010, etc. Note: – It is a perfect way to deal with the damaged OST file. Also, it is an ultimate way to fix the OST file error without data loss. The utility is compatible with Windows 10, 8, 7 and below versions. You can try its demo version for free to repair OST file in Outlook. Hope the effort will help you to get rid of OST error and to repair corrupt and damaged OST file. This blog will let users know how to delete and recreate OST file in Outlook in Outlook 2019 / 2016 / 2013 / 2010 / 2007 / 2003 / 2000. As the location of the OST file is different in all Outlook versions so, the procedure to delete and recreate OST file is different is also different. Depending upon the version of Outlook, a user can follow the steps to create OST, Delete OST, Fix OST Error, Reapir OST in secure way.